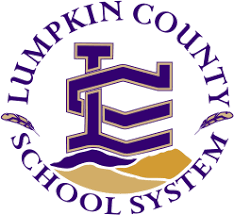 DAHLONEGA, Ga. –- Lumpkin County School Superintendent Dr. Robert Brown refused repeated requests by Sheriff Stacy Jarrard to issue a robocall last Thursday after a threat was reported by a Lumpkin County High School student. Jarrard said he made his first call to school officials around 6 p.m. on Thursday, September 21, to request that a robocall be issued in order to keep parents informed about what had occurred and to let them know if it was safe to send students to school on Friday. Then he called twice more but each time, his request for a robocall was refused. “They said they didn’t want to scare parents because they didn’t believe the threat was credible,” he said. But as students got home from school on Thursday, word of the threat began to spread and soon, the Facebook pages began to blow up with frightened parents seeking information. Brown addressed Alhadeff‘s concern relative to an increased focus on extracurricular activities by stating, “I’ll make no apologies, because that is what was addressed in our SPLOST.” Brown also mentioned that the previous ESPLOST included academic improvements such as, technology, technological devices, and increased internet speeds. In regards to JROTC/Science building, Brown explained that the project has not been approved as of yet, “We are in the planning stages. The Nugget inappropriately posted that it had been an approved project. We are still in the very preliminary stages of that facility, and we discussed last week what it was going to look like.” He further explained that the project will create new science classrooms and laboratories for the students to use. The space used for JROTC, Brown stated, would be determined based on what the state says they need, and also by what the program needs. Concern over the absence of the board during their most recent public hearing in regards to the millage rate vote was not discussed. The Lumpkin County Board of Education’s decision to skip out on a public hearing last week was grossly irresponsible. It demonstrated a callous disregard for the citizens who voted them into office. There is also a question of the legality of the meeting since a quorum was not present. The hearing was conducted Monday, Aug. 13 and was advertised in the local newspaper as a public hearing on a tentative tax increase. Public hearings afford citizens the opportunity to speak on a particular issue and they have every right to expect their elected officials will listen. School board members failed spectacularly to meet that expectation when they scurried into a backroom and allowed Superintendent Dr. Robert Brown to conduct the hearing in their absence. Public hearings are informational. Their purpose is for citizens to become aware of what their elected officials are doing and for the elected officials to become aware of the public’s sentiment. That awareness is destroyed if elected officials refuse to listen to the people. It causes citizens to wonder if their trust in their representatives has been misplaced. School board member Craig Poore took to Facebook over the weekend to blame the local media for disseminating “misleading information” and “ill-informed citizens” for not understanding the board’s actions. That excuse does not pass the smell test. Every other school board in the state of Georgia is capable of holding an executive session and public hearing on the same night. They simply open the public hearing, listen to the citizens, close the hearing then go into executive session. It’s not that difficult. No, Mr. Poore, what we need is a school board whose members don’t run and hide from citizens who wish to speak to them at a public hearing. 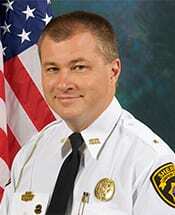 DAHLONEGA, Ga. – Public hearing or public embarrassment? The Lumpkin County School Board advertised for a public hearing and invited citizens to speak about a tentative tax increase last Monday then declined to listen to a single word they had to say. Four of the five board members were present when the work session started. Mera Turner was absent. But before the public hearing started, the four disappeared into a backroom and did not emerge until the public hearing ended. Some would argue that public hearings are for citizens to address their elected officials and for those officials to consider what the citizens have to say. But that does not pass the smell test. School boards, county commissions and city councils all across Georgia routinely hold public hearings on the same day as executive sessions. They simply open the public hearing, listen to citizens’ comments, close the public hearing then go into executive session. It is not that difficult. Monday’s public hearing lasted only about half an hour. One county official who asked not to be named said the meeting was not a legal meeting because no quorum was present when the public hearing was held. If he is right, any action taken at the meeting can be rescinded, and fines could be imposed on the board as well as the individual members. 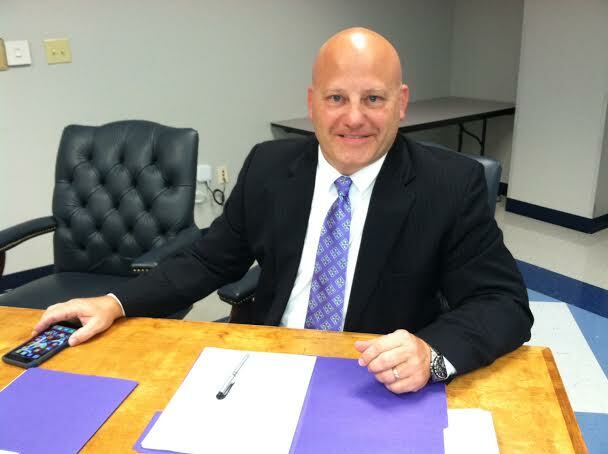 DAHLONEGA, Ga — New Lumpkin County School Superintendent Dr. Robert Brown said he was attracted to his new job by the beauty of the mountains, the quaintness of small-town living and the fact that the school system has performed very well in recent years. “My hope is that I can come here and make a good thing a little better,” he said Tuesday. Brown was the unanimous choice of the School Board to replace Dr. Dewey Moye, who retired after 35 years of working in the school system, including 12 as superintendent. Brown has served in public school education for 20 years. He holds a Doctorate of Education in Educational Leadership from the University of Alabama, a Master’s in Educational Leadership from Jacksonville State University, a B.S. in Physical Education & Health from Carson-Newman College and a B.A. in Psychology from the same institution. Prior to coming to Lumpkin County, he served as superintendent of Jeff Davis County Schools from 2012 to 2016. Brown says one thing he brings to his new job is a new set of eyes. Brown said one of the most attractive things about his new job was that the system didn’t need a major overhaul. That does not mean there won’t be challenges, however. Challenge number two came during his first week on the job when Lumpkin County High School’s head football coach resigned. “Any time you have a head football coach resign in May, that’s a challenge,” he said. This past Monday, former Forsyth Central head coach Shane Williamson was hired. The next big challenge will be replacing the school’s Finance Director who has accepted another position within the system. Next comes the biggest challenge of all, managing the school system’s $30 million budget. Brown said he made very few recommendations about changes to the Lumpkin County system during the interview process. “The Board, I believe, was more interested in my thought processes than changes I might recommend,” he said. « Previous Article Evolution, Does it Work? Next Article » Are You a Righteous Person? DAHLONEGA, Ga. — The Lumpkin County Board of Education met in regular session Monday and introduced the school system’s new superintendent — Dr. Robert Brown. Brown replaces Dr. Dewey Moye who has retired after 35 years of working in the local school system, including 12 as superintendent. Brown has an impressive background in education, serving as a middle school and high school teacher and coach, high school assistant and principal, executive director of high schools and superintendent of schools. Most recently, he served as superintendent of the Jeff Davis School System. He holds a Doctorate of Education in Educational Leadership from the University of Alabama, a Master’s in Educational Leadership from Jacksonville State University, a B.S. in Physical Education & Health from Carson-Newman College and a B.A. in Psychology from the same institution. I spoke to Dr. Brown before the meeting and he made it crystal clear where he stands on the Obama Administration’s guidelines regarding the use of bathrooms and locker rooms by transgender students. Those guidelines state that transgender students be allowed to use the bathroom that matches their gender identity. But Brown added that schools would do their best to make all students comfortable in their own skin. Caroline Stewart presented a review of the school system’s general fund balance sheet for the period ending April 30, 2016 which showed total assets of $8,933, 630.48, total liabilities of $3,599, 424.29 and a fund equity of $5,334, 206. 19. The year to date SPLOST collections are down from $1,284, 833 in 2015 to $1,248,832, a difference of $35,996. The Board decided to wait until after the runoff election between Mera Turner and Catherine Ariemma to fill the vacant District 1 seat.